Emily Cole ​- I became interested in the Americorps VISTA volunteer program because I wanted to learn how nonprofits operate and sharpen my writing and communication skills. I graduated from Fort Lewis College in Durango, Colorado with a bachelors degree in International Business. I have a passion for working with people from different backgrounds and life experiences and sharing our cultures with each other. With my time in Santa Fe, I hope to assist the community in expanding opportunities for untraditional learning and increase funding and awareness for various projects that are going on within the community. I look forward to being a part of the warm and close-knit community of Santa Fe. My personal interests are traveling, trying new foods, meeting new people and rock climbing. After high school, I was able to be an AVID tutor for students who were planning on being their family’s first generation to attend college just as I had done going to UNM. To this day, with all my students, I will always do my best to ignite the sense of striving for their goals no matter what they perceive their obstacles might be. With the help of the VISTA program, I will continue to reach more students and meet new people who will want to do the same. Geneva Hancock - As a mentor for Stonehill College’s Justice Scholars Program, I was given the opportunity to fly out to Santa Fe, New Mexico for one week after my graduation to serve with the Community Learning Network. While there, I was immediately immersed in the rich culture of Santa Fe and its surrounding communities. I volunteered at a local farm, met with community leaders to listen to their stories, visited museums and some of the oldest churches in the country, had the freedom to explore the city, and even helped out at a local horse shelter. Although I set out on this journey by myself, everyone I met during my travels brought me in as a part of their family. The positive energy that embodies Santa Fe radiates from all who reside there, and anyone who is lucky enough to visit will feel it too. This opportunity has allowed me to explore and advance in my own spirituality, as well as learn about the complex history of one of the oldest cities in America by entirely immersing myself in its culture. I am so grateful for the Stonehill College Justice Scholars Program, for giving me endless support throughout the entirety of my journey, and the Community Learning Network, especially Jennifer Case Nevarez, for making my experience in the Land of Enchantment absolutely unforgettable. I will be back soon. Matt Moschella - I’ve had the pleasure of working with and learning from Jennifer on two separate occasions through Community Learning Network. As a student of philosophy, psychology, and religion, I came to New Mexico searching for ways to live – particularly one that felt right for me. During my two stays I farmed, painted, taught code, and helped design websites. Working as a part of Community Learning Network and modeling after Jennifer, its CEO, I was able to offer my abilities to the people I met. I trusted them to hone my skills and guide me to new places, new friends, and new understandings of the world. I was lead to engage in the strengthening of community with openness to possibility and the willingness to serve and learn. By becoming a part of the lives of others I found my place in New Mexico and with gratitude to those who guided me along the way I discovered the joy of working for with and in community. I am now looking to pursue a degree in clinical psychology and enthusiastic to live the lessons I’ve learnt from my time in the Land of Enchantment. Victoria Pitz - I am so thrilled to be returning to Santa Fe for my third consecutive year! I am a senior at Fordham University in New York City and my southwestern journey began in the summer of 2016 on a Fordham Global Outreach trip. In 2017 I had the opportunity to return to New Mexico to work with Community Learning Network. We facilitated a high school service-learning experience from Santa Fe to Taos and back. Afterwards, friends and I had the unique opportunity to visit with Dr. Larry Emerson in Navajo, NM, whom I had met the previous summer. There, we worked on his farm, discussed life since we’d last crossed paths, and how we could incorporate our experiences out west into our future endeavors. Unfortunately, Dr. Emerson passed away last fall, however, I have held close to my heart the lessons I learned and the unique opportunity I had being one of the last students he’d ever taught. 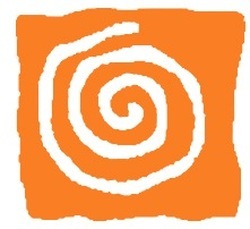 Since my last visit to the land of enchantment, I began my training & fundraising for the NYC marathon, taught English to refugees living in the Bronx, worked with homeless families in New Orleans, had my classical composition inspired by south western artwork performed in NYC, and took on a role as Managing Editor for CURA Magazine, a literary magazine for art & action. While the year since I’ve left has been full of miracles and super inspiring people from across the map, there’s nothing I enjoy more than visiting Jennifer and working with Community Learning Network— working in an enchanting setting and promoting unbelievable real-life learning with real-life people has given me the strength, confidence, and peace of mind I needed, knowing now that I can have fun doing what I love while making an impact (and allowing myself to be impacted by) the people around me. This all too often seems impossible, but is in fact the real-life experience and mission of CLN which is why I will keep returning to satisfy my zest for connection and adventure. Yet, no matter how many trips I take, it always leaves me hungry for more— therein lies the real-life magic. Thank you, Community Learning Network! Monica Barton - I graduated from Fordham University this past May, and I will be attending Boston College Law School in the fall. Last summer, I participated in a Global Outreach project through Fordham in the Navajo nation. There I fell in love with the South West, the Navajo nation, and the work Community Learning Network does. Their work is what drew me back again this summer, and I am so grateful for the opportunity. Stephanie Leo - I'm a senior at Fordham university studying International Political Economy. In May of 2016, I participated in Fordham's Global Outreach program and was introduced to the wonders of New Mexico and the Navajo nation. Since my initial trip, I have been interested in learning more about the southwest and native cultures. When I heard about this opportunity I knew I could not pass up the chance to return to New Mexico to live, work, and explore the land of enchantment while working with this great organization and engaging in an immersive learning experience. Victoria Pitz - "I'm a junior at Fordham University in New York City and will pursue a career as a music therapist and writer. In May of 2016, I participated in Fordham's Global Outreach program which brought me to New Mexico/the Navajo Nation. Since then I've been enthralled with hiking/exploring in the southwest, learning about native cultures and sharing stories with others. Being that my previous trip carved a special place in my heart, I couldn't help but reach out to Jennifer upon reading an article she posted about "a calling to return" to the "Land of Enchantment." I am excited to be returning to New Mexico with two of my closest friends to work, live, explore and most importantly share stories with New and old faces. Forever thankful for this outstanding organization and for introducing me to my true passion, hands-on real-life learning! Carly Gordon is a sophomore student from the Bay Area in California. She is a math and mechanical engineering double major at Howard University in Washington, DC. She first traveled to Shiprock as a high school student and immediately fell in love. Since then, she has come back as an intern to assist with the educational immersion program. She hopes to return again soon. ​Hilary Douglas graduated from the University of Mary Washington in 2014, where she studied Sociology. Growing up, she attended a school system where many of her peers were of a lower socioeconomic status. This instilled the belief in her that access to health and education should be available to all. After hearing about the Community Learning Network, Hilary was extremely excited to be a part of their efforts to inspire the youth of Santa Fe, NM. This is her first trip to New Mexico, but she is sure that she will return soon. Haela Booth-Howe graduated from Stonehill College in 2016, where she majored in Health Sciences. She is passionate about promoting health & wellness for all people, education, and worldwide travel. She fell in love with the land and people of New Mexico on a week long service-immersion trip her senior year and couldn't wait to return to this truly beautiful place. In August of 2016 she is beginning a year of service in the Dominican Republic, where she will be teaching English to elementary-aged children. Download a copy of our cool book of recipes! ​Amber Weir is a student at the University of Texas in Austin where she studies Public Relations. She has always been attracted to the mission of nonprofits and hopes to work for one after she graduates. She is a Young Life leader at a lower socioeconomic school in South Austin where she is a mentor to high school students. This experience has formed a passion for low income populations and children’s education. Maddie Plansky has a passion for learning, travel, and meeting new people. She first experienced the magic of New Mexico in October 2015, where she spent the week in Little Rock. She quickly found herself buying a ticket back, and will forever be grateful towards Jennifer for giving her a life-changing week in Santa Fe and Taos. Maddie treasures the relationships she fostered with all different beautiful people. She is now going into her third year at Villanova University studying psychology and communications. She will spend the next few months of her life exploring Copenhagen and all of Europe. No matter what, New Mexico will always hold a strong place in Maddie's heart and she is sure she will be back soon! Alexandra Nevarez attends the University of Texas in Austin. She is a sophomore in the McCombs School of Business. She is currently on the quest for balance between her love for all art forms, her curiosity in marketing and consumer behavior, and her fascination with the interconnectedness of humankind. Rebecca Darling is a student at St. Edward’s University in Austin, TX. She hopes to join the alternative learning community as a teacher when she graduates. She is also a gifted musician and singer and can be seen performing in Austin regularly. 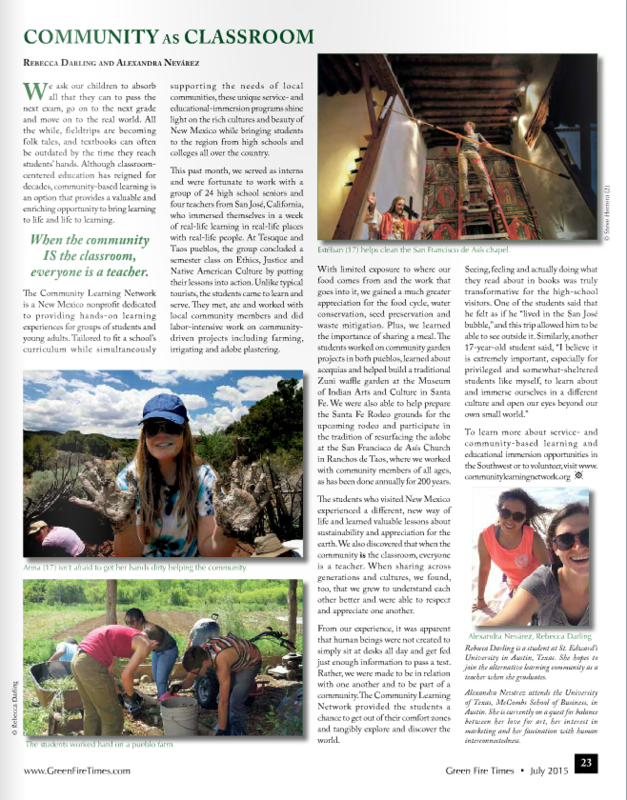 To read the article published in the Greenfire Times magazine that Alexandra and Rebecca wrote about their experience as interns with Community Learning Network this summer, click below! Maggie Chen is a student at Fordham University in New York. She is studying International Studies and is a gifted photographer. We are fond of her adventurous, dauntless spirit and so appreciated her presence this summer. As she said so aptly, " Those who are awake lives in constant amazement." Tash Deschenie is a student at San Juan Community College in Farmington, New Mexico. 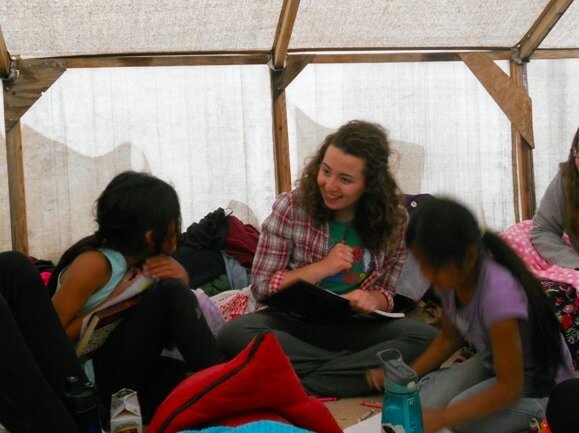 Last year she served as a Vista Volunteer and Coordinator at the Dream Dine' Charter School in Shiprock, New Mexico. Tash is a gifted artist and learning facilitator. This summer she participated in our Santa Fe Fordham Alumni trip, but has also assisted as a host team member with numerous visiting college and high school groups in Dinetah (Navajo Nation) over the years. It is just plain and simple: WE LOVE YOU, TASH! You Can Make a Donation to Support our Internship Program!